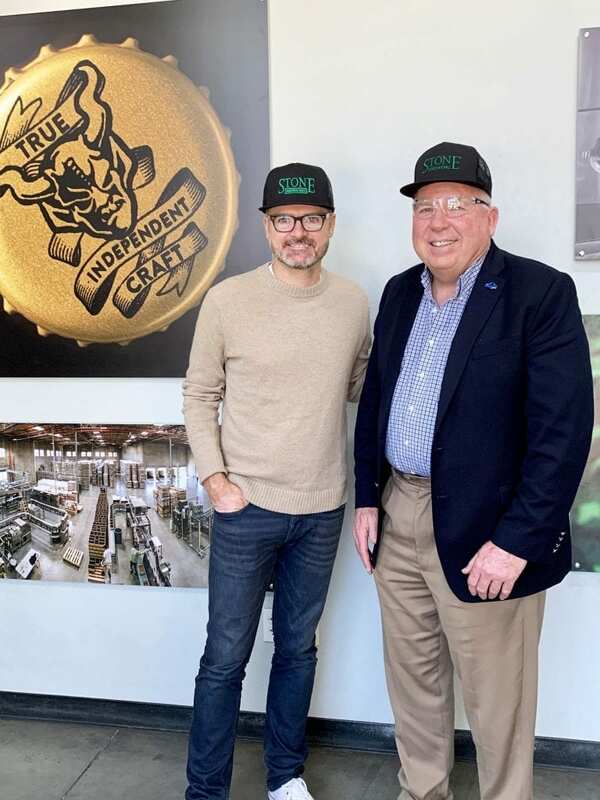 Recently Mayor Paul McNamara visited Stone Brewing. 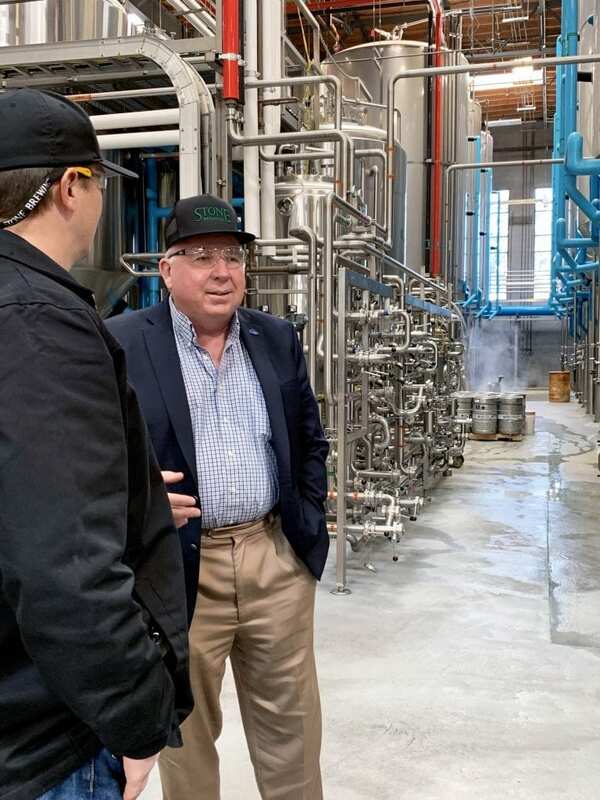 CEO Dominic Engels and VP of Brewing Operations, Joel Grosser showed him around the bistro, brewery and packaging hall. Stone Brewing remains the largest craft beer employer in the US with about 1,400 team members internationally.